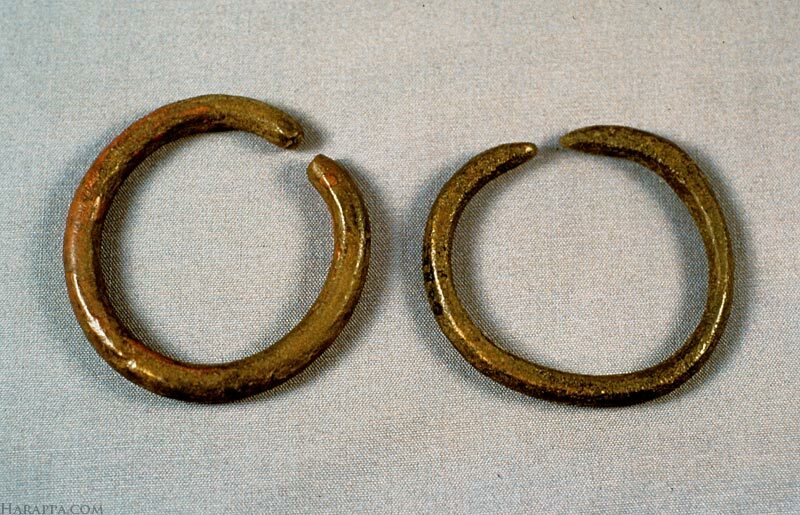 Two copper/bronze bangles, one from Harappa and the other from Mohenjo-daro. The bangles were made from a round hammered rod bent in a full circle. The space between the ends of the bangle would be pried apart to slip it over the wrist.